Neat Stain Gram Stain Kit | Polysciences, Inc.
For staining bacteria from cultures or specimens by the differential Gram stain method. 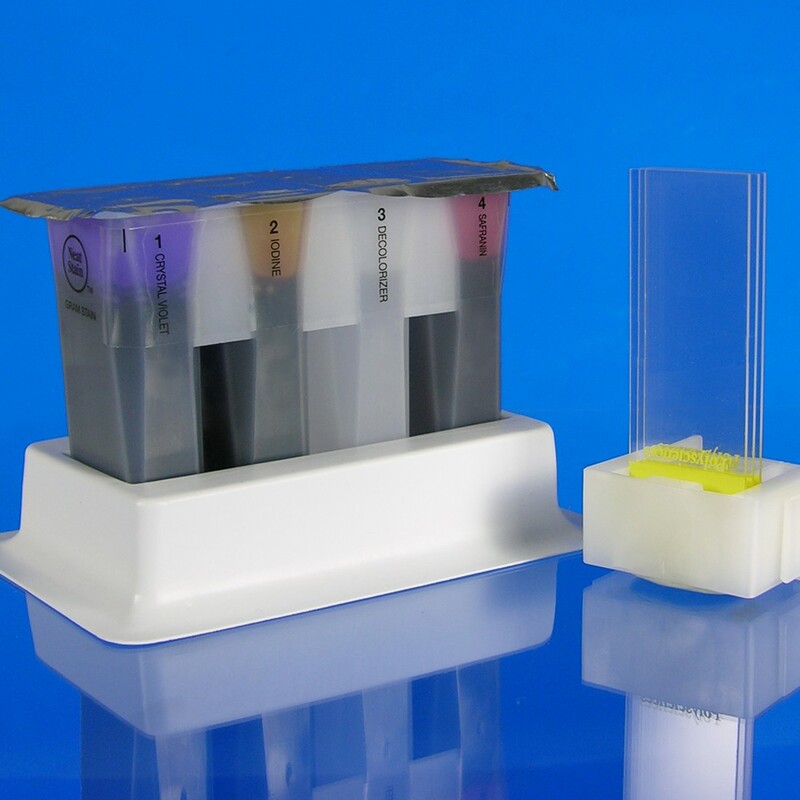 Neat Stain Kits have been specifically designed for stat procedures and/or laboratories using manual staining methods. Kit Contains: 6 Reagent Packs, Plastic Stand, 6 Reclosure foils.